The Keystone Arches and the Western Railroad were built in the 1830s and 1840s to move freight to and from the port of Boston to Albany and then westward, keeping Boston's port competitive with New York City's. To accomplish this feat, Major George Washington Whistler designed the first railroad to climb mountains: the Berkshires. The tracks cross and recross the winding Westfield River. 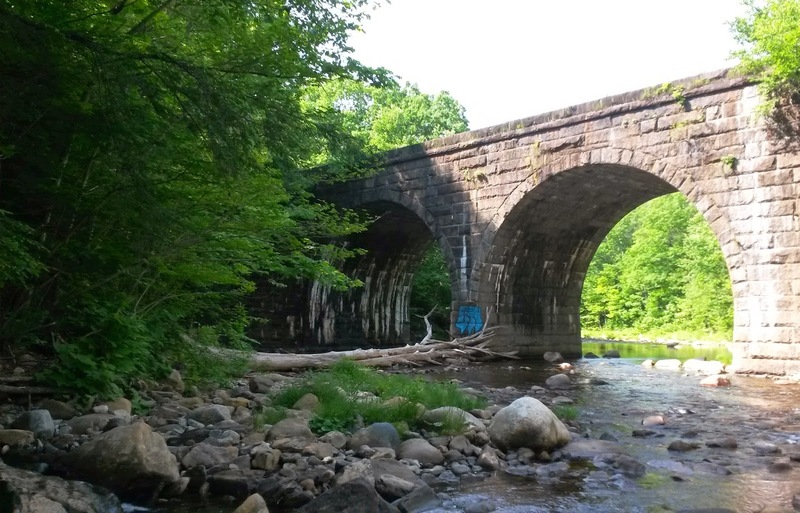 He used keystone arch bridges with no mortar, and built them with local stone, Chester blue granite. The bridges are artistic as well as engineering marvels. The Keystone Arch Bridges Trail provides wonderful views of three of them. One double arch bridge is still being used today, supporting today's locomotives which are up to 35 times heavier than those of the 1840s. Seeing the stonework in an almost wilderness setting is amazing. The mostly wooded trail is about 5.5 miles round-trip, with bridge and water views. by freight trains and the Lake Shore Limited, a passenger train to Chicago. 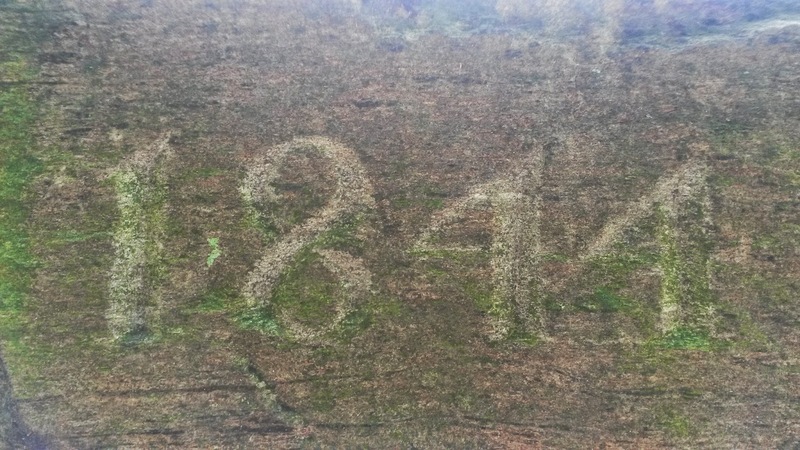 One of the stones on the tallest bridge, 70 feet, is dated "1844." 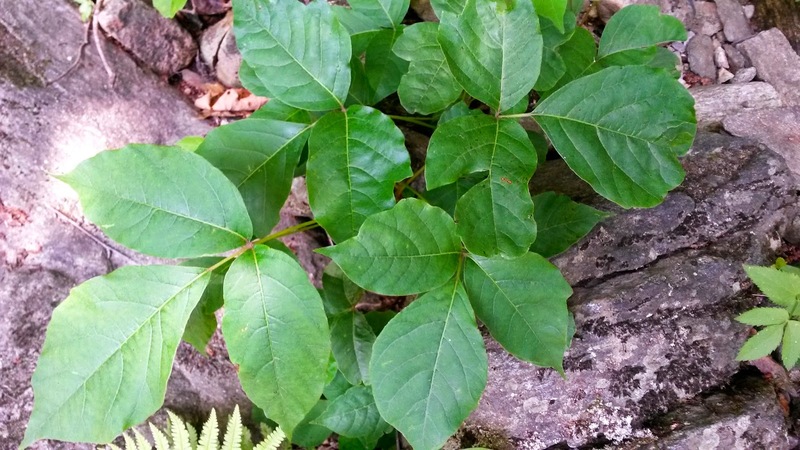 Be aware of plentiful poison ivy along the trail! 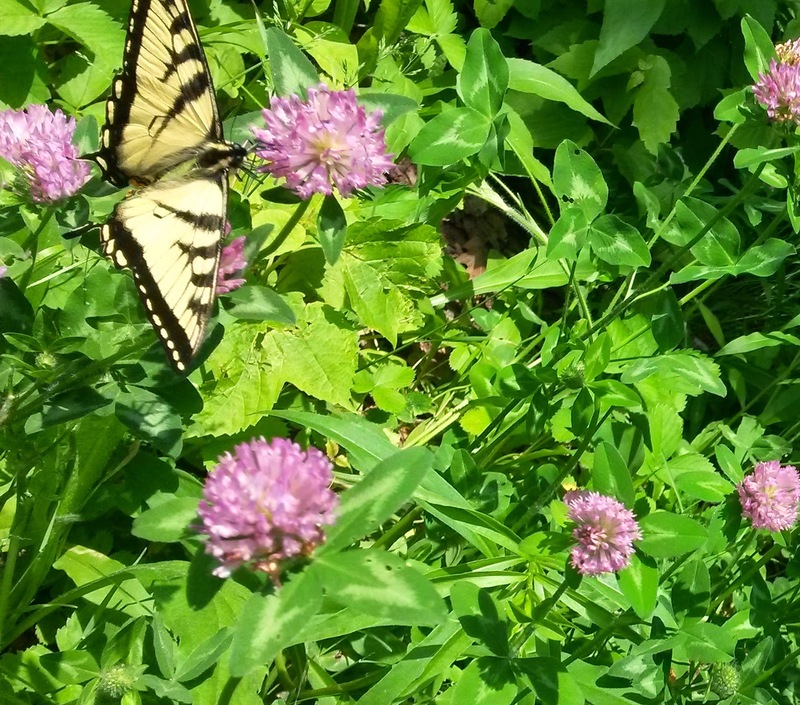 The bridges in some areas are overgrown with wildflowers. I am standing about 40 yards in front of the bridge.